FLAGSTAFF ­– Hunters usually leave the Arizona Game and Fish Department’s office just off Interstate 17 here with permits and tips from staff members on duty. These days, they also can walk out with bullets made from copper rather than lead. To make it easier for hunters to purchase non-lead ammunition as way to protect California condors and other wildlife, all seven of the agency’s regional offices are selling the cartridges. “The more that it’s readily available, the more likely it is that people are going to use it, and the better off it will be for the wildlife that we’re trying to protect,” said Allen Zufelt, California condor coordinator for Game and Fish. Since California condors were reintroduced to Arizona in 1996, many have died after ingesting lead from animal carcasses and gut piles left by hunters. 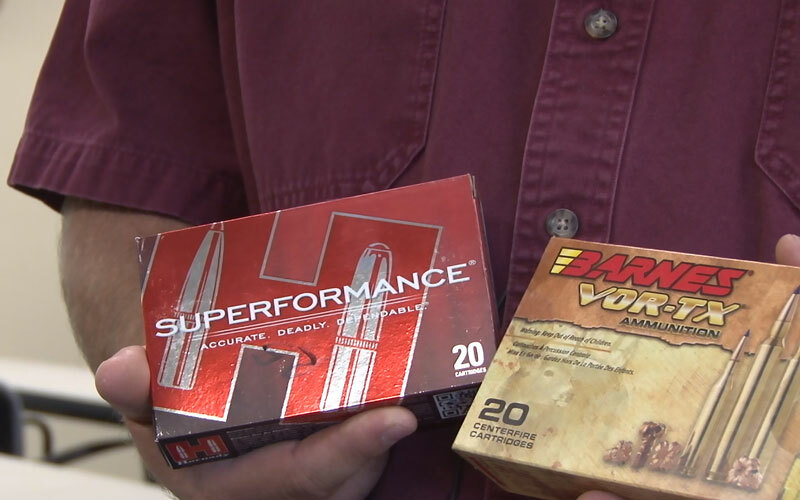 A Game and Fish program offers discounts on non-lead ammunition as well as prizes to encourage hunters who use lead bullets to remove their gut piles and bring them to regional offices for proper disposal. “Last year we took about 4 tons worth of guts to the landfill, where they’re not going to cause any lead poisoning issues for anything,” Zufelt said. Ninety-one percent of Arizona big game hunters are participating in this program, according to Game and Fish. Offering non-lead ammunition at Game and Fish offices addresses a challenge when it comes to availability, Zufelt said. “One of the problems with non-lead ammunition is that it’s not readily available in small towns and other locations,” he said. But to Jeff Miller, conservation advocate with the Tucson-based Center for Biological Diversity, the program isn’t enough. His organization is among conservation groups calling for a can on lead ammunition in the condors’ range, something that’s already done in California. “As long as even a few people are hunting using lead in the condor range we are going to continue to have condors find those carcasses and they are going to continue to get poisoned,” he said. Jesse Hanson, general manager of Shooter’s World in Phoenix, said people would just find a way around a ban on lead ammunition. “People are afraid to be caught with it, so they’re going to go to illegal means to hunt now with that type of ammunition,” he said. Zufelt said lead is bad for wildlife beyond condors. “Any animal that ingests the remains of an animal left in the field is going to be benefited if you shot a non-lead bullet versus a lead bullet,” he said. Game and Fish mails each person who gets a permit to hunt big game a coupon for a free box of non-lead ammunition. “What we’re effectively trying to do with our program is alter traditions and make it to where the hunter’s tradition is to use this non-lead ammunition,” Zufelt said. Miller, with the Center for Biological Diversity, said a ban on lead ammunition would address the problem of availability of non-lead cartridges. 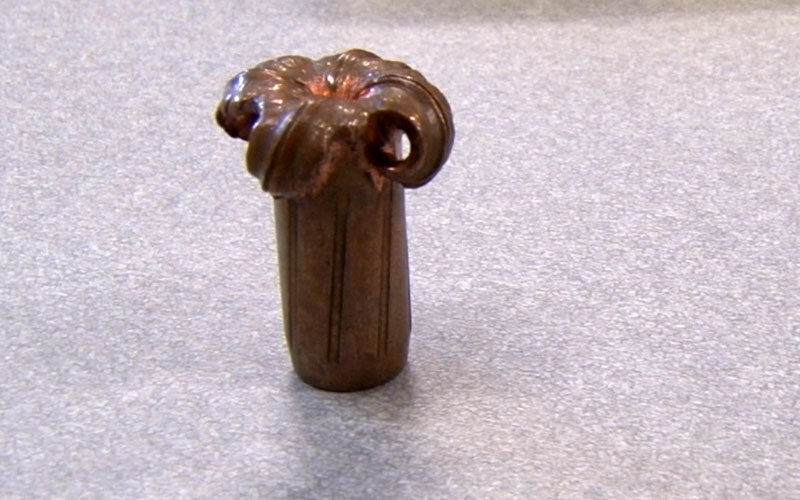 “Because then if everyone was required to use it then you’d have an instant market for it and manufacturers would have more incentive to make more copper ammo and you’d see the price go down,” he said.